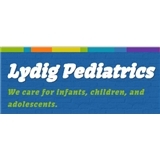 Lydig Pediatrics (Bronx) - Book Appointment Online! Becoming a parent can be a very exciting and satisfying experience, but it is also one of the most challenging task in your life. It is a huge responsibility to hold in your hands child’s well-being, safety, and health. Choosing the right pediatrician is an important decision you will make for your little ones. Here, at Lydig Pediatrics, your children are our first priority. From regular check-ups and immunizations to critical screenings, we look after the health of your kids with a watchful eye. We are the place you can bring your child for all of your child's medical needs - Your Child's Medical Home. I have just one kid and I have always wanted the best for him. This makes it difficult to choose just any clinic. At first, I was skeptic about the clinic but they are really experienced. The nurses are warm unlike nurses in most hospitals and Dr. K is well versed with a lot of illness. This is definitely my go-to clinic from today.